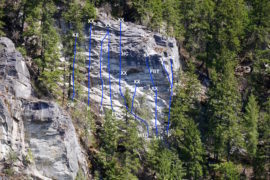 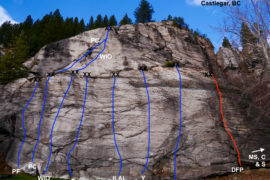 For further descriptions about climbs at the CIC Slabs area in the city of Nelson in south-central British Columbia, Canada, refer to page 61 of the West Kootenay Rock Guide. 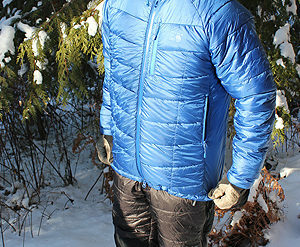 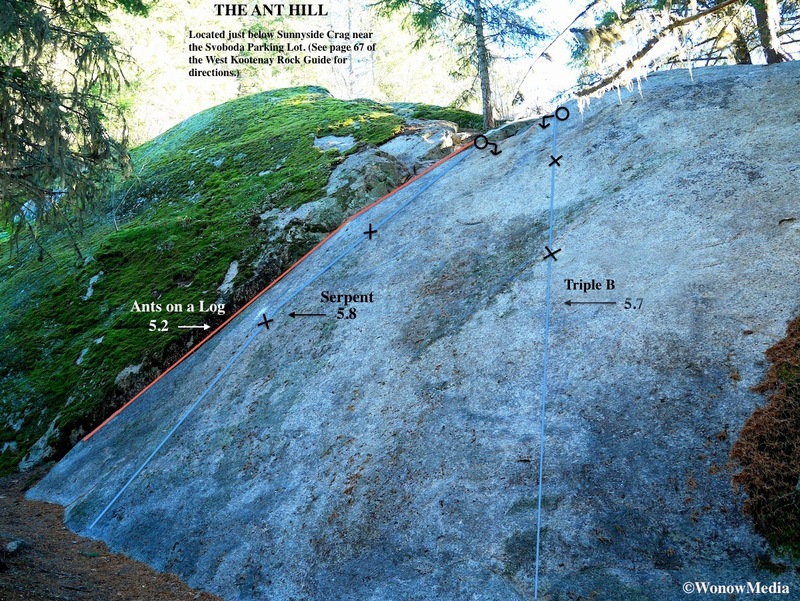 Access: The Ant Hill is located just below the Sunnyside Crag near the West side of the Svoboda parking lot. 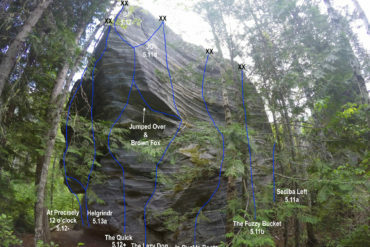 (See page 67 of the West Kootenay Rock Guide for a description on how to reach the Sunnyside Crag). 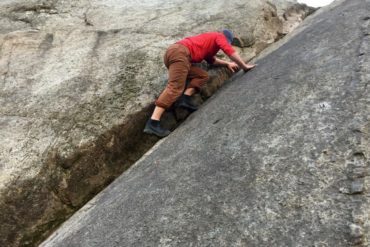 This is a good wall to take your young kids to because it’s easy to walk to (it’s only 40 feet away from the parking lot), the anchors are easy to reach from above and it offers the only documented 5.2 in the area. 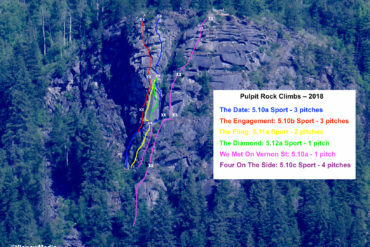 The Ant Hill Rock Guide Updates: This is the ninth in a regular series showcasing the new rock climbing routes in the West Kootenay Region of south-central British Columbia. For written descriptions of these and other routes, download the 2014 West Kootenay Rock Guide updates. 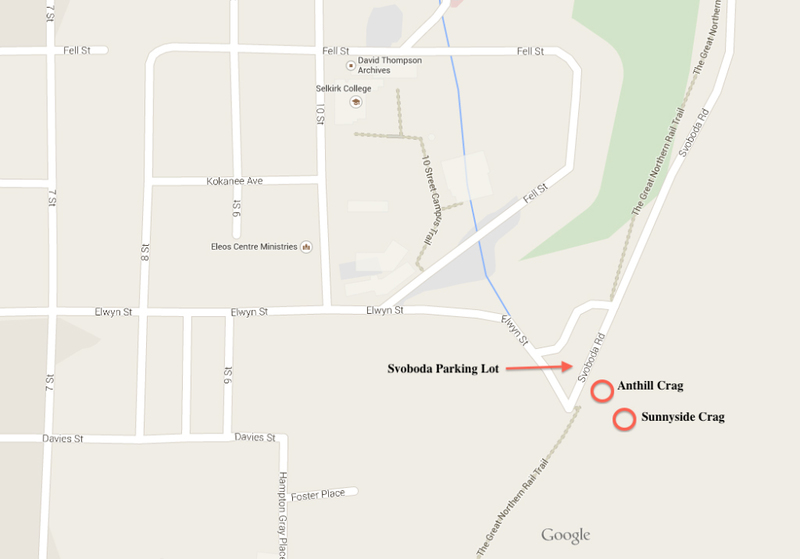 This shows where you can find the Svoboda parking lot in Nelson and where Sunnyside and Ant Hill are located in relation to it.